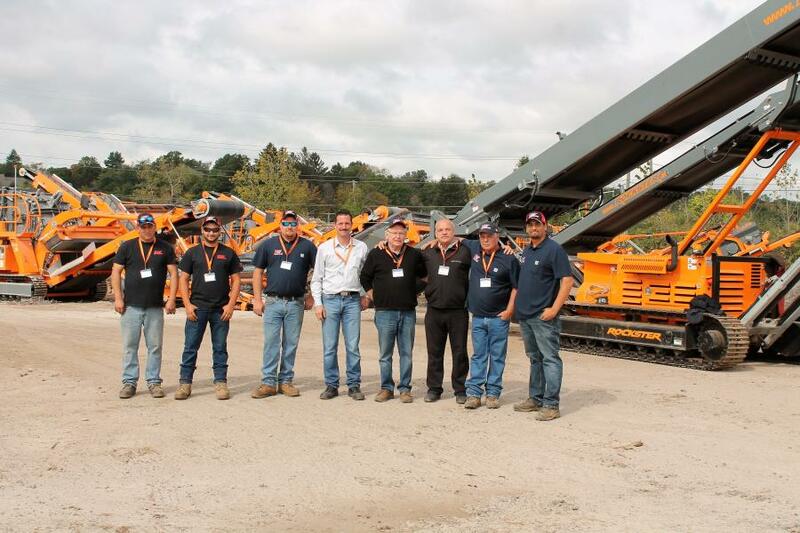 (L-R): Ray LaCasse, operator; Zach Russenberger, operator; Dan Tucker, product support; Daniel Civinski, Rockster representative of the United States; Skip Tucker, owner of Equip Sales & Leasing; Wolfgang Kormann, CEO of Rockster North America; and Dan Troiano, sales representative, and Joe Collazo, sales manager, both of Equip Sales & Leasing Corp.
Equip Sales & Leasing hosted a demo event Sept. 30 in Hamden, Conn. 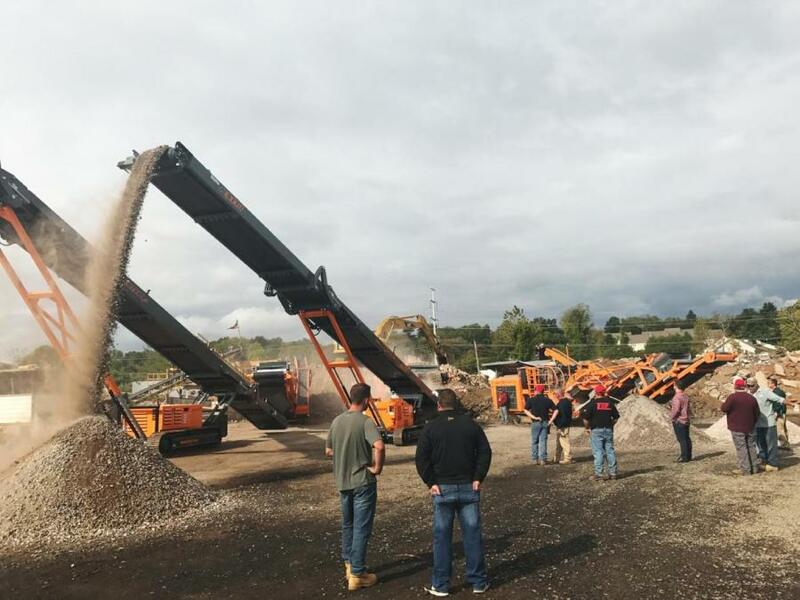 The event provided current and potential customers opportunities to see Equip Sales & Leasing's latest models of aggregate equipment and featured the company's full line of Rockster crushers, screeners and stackers, along with several RD Olson Manufacturing screening plants. Rockster North America opened in 2016, headquartered in New Jersey. 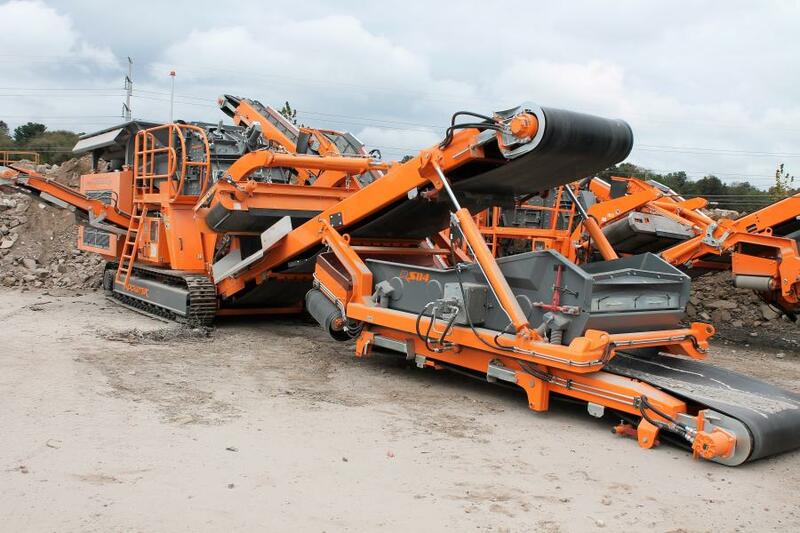 Originally founded in Austria, Rockster specializes in the development and manufacturing of mobile crushing and screening plants, which assists in the processing of natural stone, recycling asphalt and construction waste. 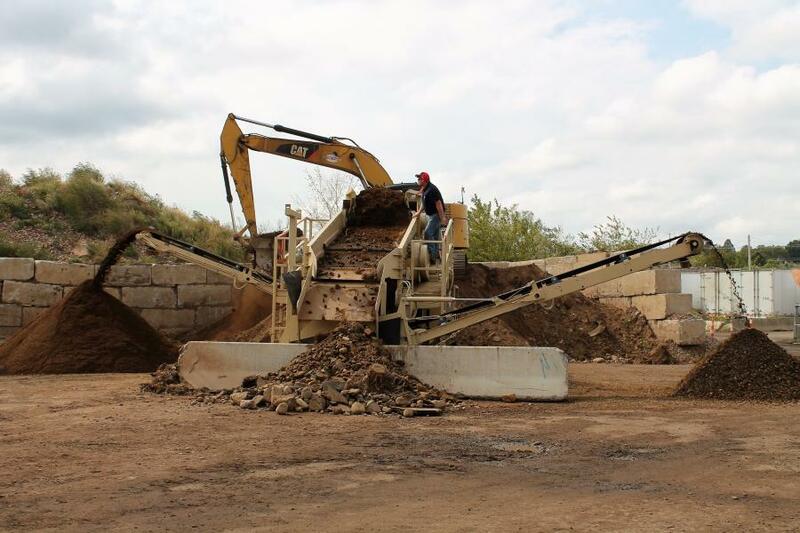 With innovations, such as the DUPLEX system, the double function return belt, and the hybrid crusher, the company continues to demonstrate its progressive approach. 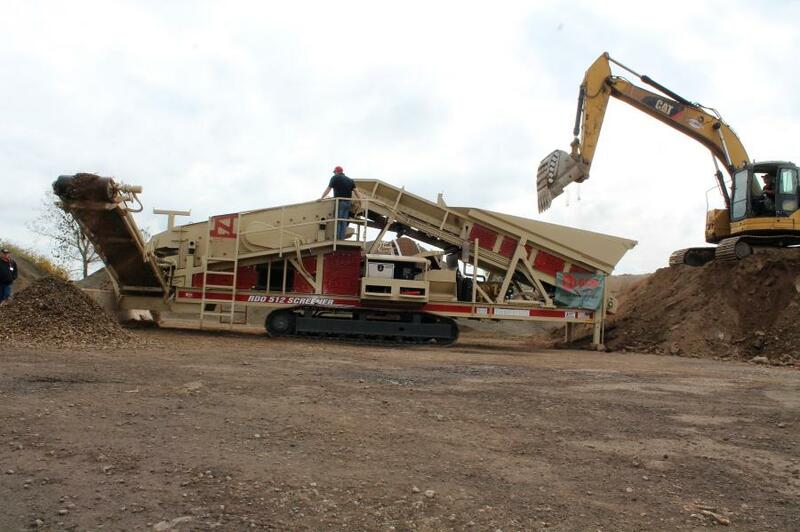 All impactors at the demo featured Rockster's closed-circuit system with the removable screen box and the double functional return/stockpile conveyor. These accessories allow producers to crush material in one pass and gain a consistent high quality grain without further crushing or screening. With the finishing and scalping screens, Rockster can provide a wider range of recycling possibilities or processing options. By using a Rockster crusher in combination with a stacker, customers can increase their productivity through much larger stacking capacity. 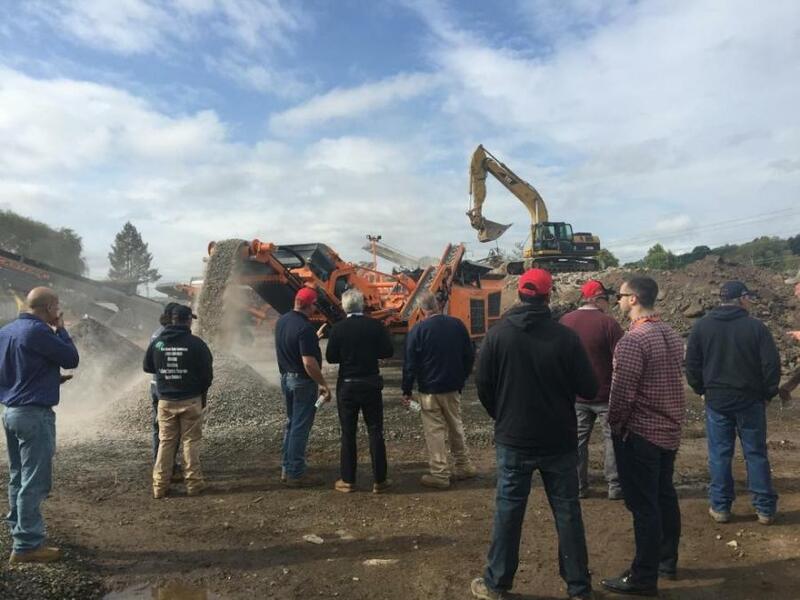 The first-ever live demonstration of the new Rockster impact crusher R1000S in the United States was a complete success. This self-monitoring plant is especially designed to increase operating and safety comfort and includes a wide diversity of refinements, such as an easy gap adjustment for a simpler grain size adaptation, an integrated measuring system for full machine control and analysis, as well as a two-deck pre-screener for a further grain fraction plus increase of the machine efficiency. 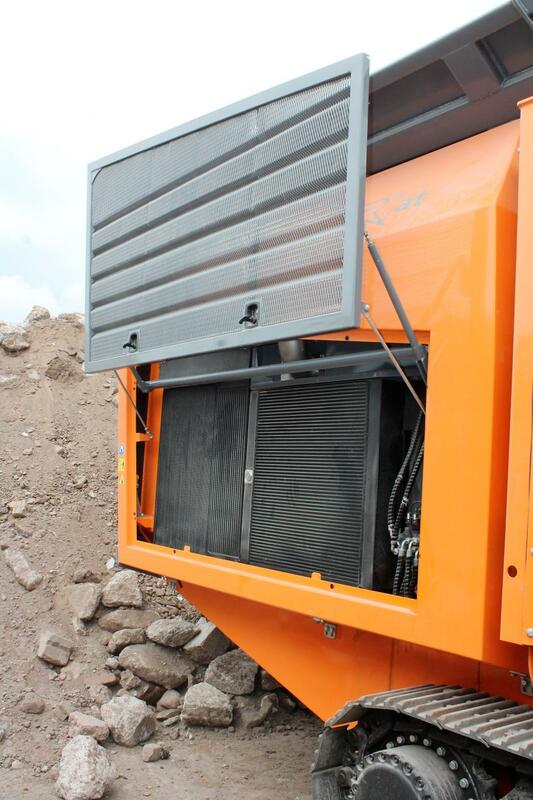 The R1000S has an inlet opening of 40 by 29 in., which not only allows for the infeed of large material, but also offers a high output capacity for varying sized material at rates about 300 tons per hour. 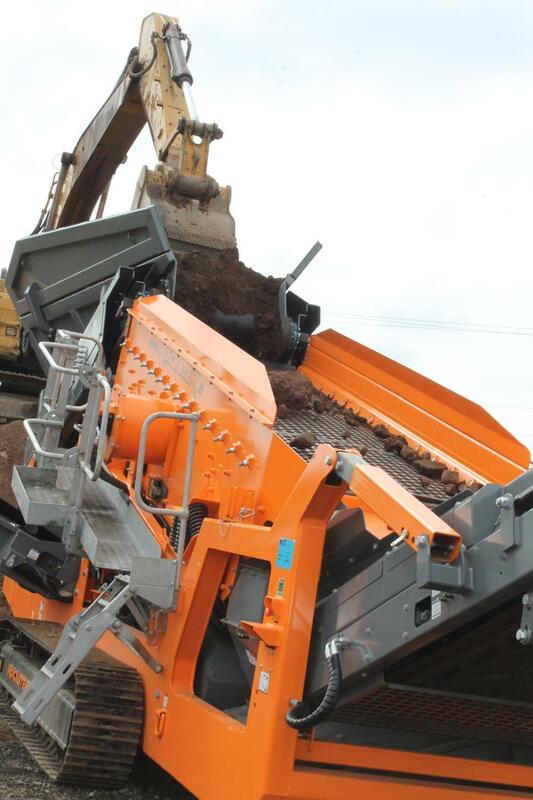 Basic features on the R1000S include an adjustable bypass chute, vibration feeder with two-deck prescreen, vertically adjustable magnetic separator, remote control with color-display, electronic controller with color-display, sound-proofing, a dust suppression system and crusher overload protection. The impactor comes outfitted with the optional RS100 screen box and the RB92 double-function return/stockpile belt — this whole system weighs approximately 77,000 lbs., has a length of 46 ft., a width of 9.3 ft. and a height of 10.5 ft. According to Kormann, the development of the R1000S was an important step to show Rockster's ambitions for innovations. RD Olson Manufacturing is headquartered in Kelso, Wash., with more than 102,000 sq. ft. of facilities spreading across 12 acres. Manufacturing all of its products in the United States, RD Olson makes wash plants, conveyors, crushing equipment, belt feeders, rock wood separators and screening plants. 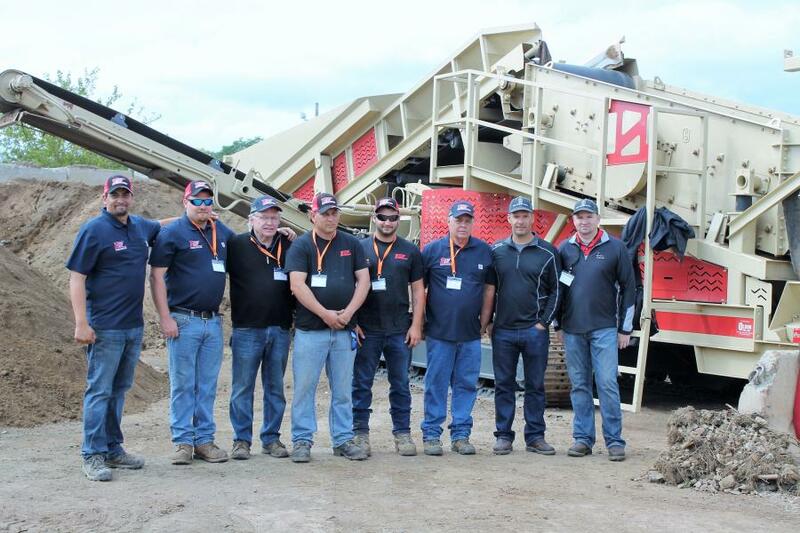 “RD Olson Manufacturing is the ideal complement to the portable machines that Rockster creates, because it allows us to penetrate all spectrums of the aggregate market,” said Collazo. For more information, visit www.equip-salescorp.com.